Every one of my romance novels is either FREE or at 99c. For a limited time only. Guys, I have never done this. Ever. This is a whopping 75% off my full priced ebooks. And I’m not sure if I will ever do this again. If you haven’t bought my romance books, buy them now or miss out. If you already have, then send them as a gift to a friend who has the same (fabulous) taste in books as you! Why am I holding this sale? Have I gone mad? Some of you already know that I pledged 10% of my proceeds of the first month of Paper Dolls to a charity called Sea Sanctuary which assists young people with mental health issues. Quite frankly, I want to raise more money for them. So, 30% of my profits for all my books for the next three days of this sale will also go to Sea Sanctuary. So, don’t just be entertained for dirt cheap, help me make a difference! I’ve included more info about Sea Sanctuary below if you want to know what you’re helping to support. Thank you from the bottom of my heart. My name is Aria. I’m 18. And today, I must choose. One of the two people I love has to die. This is a standalone novel with no cliffhanger. Caden Thaine is the most sinfully beautiful man I have ever seen. But more than that, his touch sets me on fire. And dear God, do I ache for him. I know he’s hiding something. The deeper I fall for him, the stronger my curiosity becomes. Caden and I on the run. Together. But he still won’t let me touch him and I know he is still keeping things from me. I am determined to uncover everything – at any cost. Even if it tears us apart. I don’t know how this will end… all I know is, there will be blood. Drake Blackwell is intelligent, successful, controlling, and hiding a violent family past. He just made his latest investment: Noriko. Imported from Japan and wed to a stranger, 17 year old Noriko struggles to stick to the rules of a Good Wife. Drake can’t seem to love her, not the way she wants to be loved. She dreams of freedom beyond the gates of Blackwell Manor. She meets Keir, a passionate young gardener who ignites a fire in her she can’t ignore. In the midst of her quiet desperation she thinks she has found happiness. And a glimpse of hope. But it can’t last… can it? A tragic love affair told from different perspectives… Girl Wife Prisoner will have you questioning if anyone is truly innocent. Whose side are you on? Once you’ve one-clicked, please help to share the word via my Facebook page and Instagram page. I’m giving away TWO $10 Amazon gift cards (out of my pocket, notfrom the charity money) with entries for those of you who help to share! So you could win over six times your money back on the books you just bought. Well…what are you waiting for? Sea Sanctuary was set-up in 2006 by my friend, Joseph Sabien, a survivor who had a violent mother with mental health issues and spent years in foster-care because of it. Their work is recognised by the NHS, and in 2013, they won the Google & Sainsbury’s Award for Innovation, and last year were nominated for the BBC Radio 4 ‘All in the Mind’ Award. By purchasing one or more of my books during this sale, you’ll be helping to improve the lives of mental health sufferers. 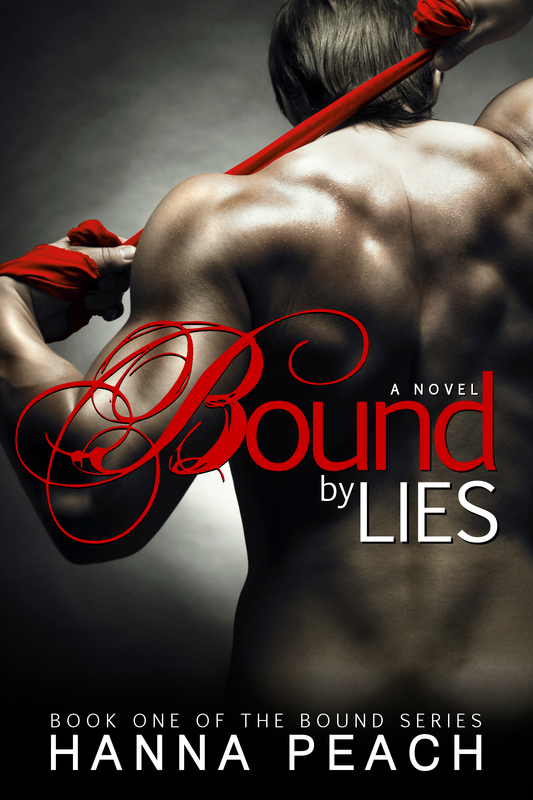 Bound by Lies on sale – last days! “You’re hurting me, Jacob,” I choke out. I whimper as my back hits the door. This isn’t right. I shouldn’t be scared of Jacob. He’s hurting. I can see in his eyes and hear in the crushing pain in his voice that he’s hurting. It hurts me that he’s hurting. I hurt him, I realize. I upset him. I need to fix it. I press kisses to his face and run my hands across the back of his neck because I know he likes it. I know it soothes him. And he needs me to soothe him right now. “You. Of course, baby. I know.” It’s because Jacob loves me so much that he’s like this. He just loves me this much. His hand pulls from my underwear then I hear a sing of metal. When I look down I see a knife gripped in his right hand. Oh God. What is he doing? “No, Jacob, Please.” Oh God. He wouldn’t. He couldn’t. My stomach twists and I choke on my own bitter bile. This is what horror tastes like. He removes his forearm and I gasp for air. He places the blade against the side of my neck. The cold metal burns my skin. I squeeze my eyes shut. He leans in, his breath hot around me. He whispers in my ear, words I will never forget. I would love if you could share this sale with anyone who you think would enjoy reading the Bound series. Hope you enjoy it! Congratulations to donniaxxxxxxx (email hidden to protect privacy) who has won a copy of Bound Forever! Please check your email for details. “Did you miss me?” he whispers. And I fight a shiver. Snake shoves me into the car. He gets in behind me and Jacob gets in beside me, forcing me to the middle of the back seat. I am squashed in between the devil and the snake. As the last car door is shut, the noise from outside disappears and suddenly I feel like I’m underwater. Through the window I see Garfield pushing Caden down to the ground on all fours. Even from here Caden looks defeated. His tied hands clutch the dirt as he watches the car I’m in drive away. His mouth is open in a scream. Garfield kicks him to one side and our eye contact is broken. Now Caden is in profile as Garfield steps around him, putting them face to face. He raises his gun to Caden’s chest. Everything goes still and slow. But this isn’t the movies. The sound of my heartbeat thuds in my ears low and slow. My heart swells with so much helpless fear it’s about to burst. In my head I’m begging him, No, Garfield. You’re a good man. Please. No. But Garfield pulls the trigger. His hand recoils slightly from the shot. Caden jolts as if he has been electrocuted. A spray of blood spits out from Caden’s back and I swear I can see where the bullet has cut its deadly line across his heart. My own heart explodes with pain as if Garfield has shot me too. Caden is frozen, held up for the tiniest of moments, shock clear in the profile of his face. Then he falls forward. My Caden. My love. Falls into the dirt. Dead. Bound Forever ~ First 3 Chapters! 6th of August is almost upon us! In the meantime, follow this link to read the first 3 chapters of Bound Forever. 1. What was your favourite scene from Bound by Lies (Bound #1) and WHY? 2. Who was your favourite character from Bound by Lies (Bound #1) and WHY? Bound Forever (#2) Release Date! I’m sorry. But it’s not. Let me explain. With this story, I had one of those rare and divine experiences as an artist – I awoke one morning to find that I was already halfway out of bed, reaching for a pen and paper or a receipt or a wall or any damn thing flat enough to capture what was desperately trying to pour out of my soul. Within minutes I had the blurb written and I heard the ‘voice’ of this main character so clearly that I questioned whether I was actually going mad. But wait… a romantic suspense? No magic or dragons or fairies to speak of. And I am a fantasy writer. What business is it of mine to be writing a romantic suspense for God’s sake? So I have been writing this novel in secret, not sure whether it would ever see the eyes of anyone else but me. Until now. I never planned to take a break from writing the Dark Angel series. I hope you forgive me for making you (and Alyx and Jordan and Israel) wait a little. Without further ado, let me introduce to you… Caden Thaine. Caden Thaine is the most sinfully beautiful man I have ever seen. But more than that, his touch sets me on fire. And dear God, do I ache for him. I don’t know where he lives or even what he does. But this doesn’t scare me. My only fear is that one day his messages will stop. I know he’s hiding something. But that’s okay. I am hiding things too. Like, my real name and… who I really am. But what we have is enough. Sort of. And everything works. Until I decide to follow him. Soon, our dark pasts will collide and I will discover just how much we are both bound by lies.